Japanese outlets, including the Nihon Keizai Shimbun, on Friday reported the two companies reached amicable acquisition terms after an unexpectedly drawn out negotiation process, according to Reuters. 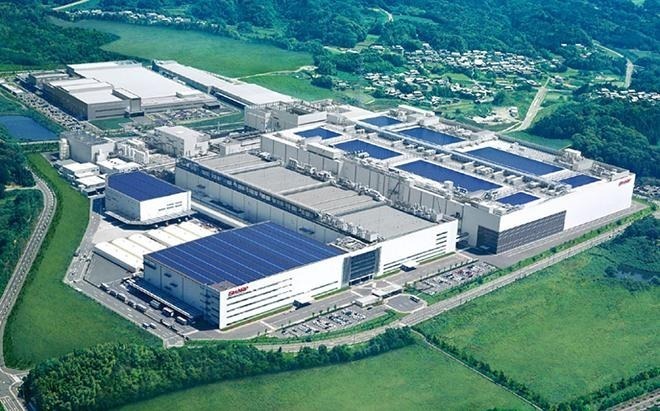 The same publications report Foxconn is set to offer 100 billion yen (about $884.4 million) for newly issued Sharp shares, down from an original 489 billion yen. When rumors of the takeover bid first circulated in February it was estimated that Foxconn would pay out some $5.5 billion for Sharp's assets. That figure quickly grew to $6.25 billion, a result of a bidding war with the Innovation Network Corporation of Japan. The deal was postponed after Sharp reported undisclosed liabilities of up to 300 billion yen. To put the agreement back in the black, Foxconn was said to have asked Sharp lenders Mizuho Bank and Bank of Tokyo-Mitsubishi UFJ to buffer against potential liabilities. The Taiwan manufacturer also suggested Sharp sell shares held by the banks at a lower rate, granting Foxconn controlling interest for 100 billion yen. Apple is likely to benefit from the agreement as it currently does substantial business with both companies. Foxconn assembles a large majority of Cupertino's devices, while Sharp provides LCD displays used in various product lines. Apple is also thought to hold a stake in Sharp after it reportedly paid for half of a 100 billion-yen LCD plant upgrade.